Malin has been drawing and painting all her life, and since her first solo exhibition in 2010, she has participated in several juried, compilation and separate exhibitions. 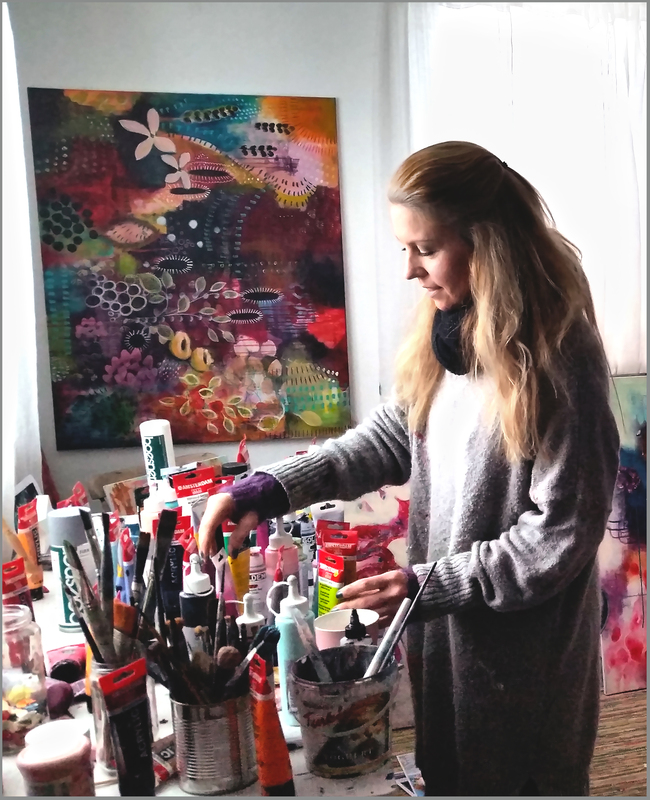 Today she works full time in her studio in central Skellefteå, and has clients all over Sweden and the world. She works mainly with acrylic paint, and in her art you meet lots of color, female forms and joy. She describes her female characters as strong, free and inspiring personalities. ”My creative mind consists of one large and beautiful feeling where there is no darkness. I take a step into a more mindful world, where dreams can flourish and happiness always has a given place. I hope that the viewer can feel the presence in the beauty of human and life, that I want to convey in my art. Nature, flowers and human inner strength and ability, is something that inspires me a lot. -Affordable Artfair, Stockholm 12-14 oktober 2017. ”Special Recognition Award Certificate” av Light Space & Time online gallery i Florida.